Five years ago, disabled playwright Kaite O’Reilly pushed the humble monologue into new creative territory with In Water I’m Weightless, an Unlimited commission for the Cultural Olympiad as part of the London 2012 Olympic and Paralympic Games. The show featured an all deaf and disabled cast. It had no discernible plot and experimented with dramaturgical form, incorporating access elements such as audio description and sign language into the creative material. Now, O’Reilly’s latest project And Suddenly I Disappear…The Singapore ‘d’ Monologues, sees her return to this approach of creating a play out of a series of fictionalised monologues – sometimes delivered chorally – which are inspired by stories about the lived experiences of deaf and disabled people. It’s arguably even more ambitious than its predecessor. Its development spans nine years, five languages and two continents (three if you include the trip to America that inspired it all). 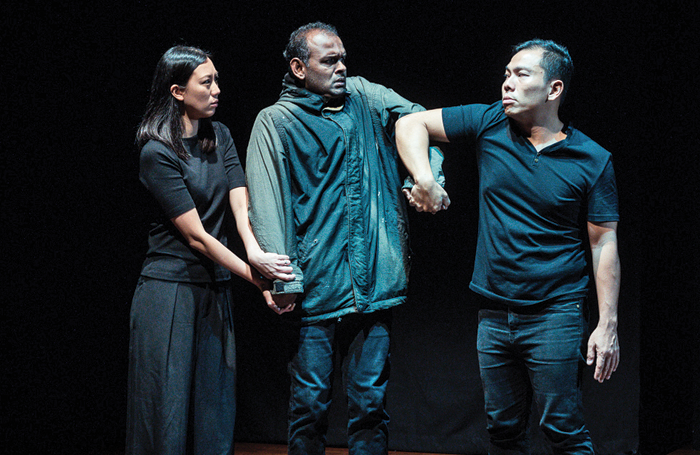 Not only that, it seeks to challenge the way disability theatre is both produced and received in Singapore and smash deep-seated preconceptions about disabled and deaf experience along the way. O’Reilly’s affinity with Singapore predates even that, having had a relationship with its Intercultural Theatre Institute since 2004, and teaching there for the last six years. It was in 2004 that she met two of the main collaborators for And Suddenly I Disappear. The first is Peter Sau, a graduate of the institute and winner of best actor in the 2015 Singapore Life! Theatre Awards. Sau is associate-directing the project and managing much of the work being carried out in Singapore. The other is Ramesh Meyyappan, a deaf Singaporean visual and physical theatremaker now based in Glasgow, who will be overseeing the physical language elements of the project. 1. 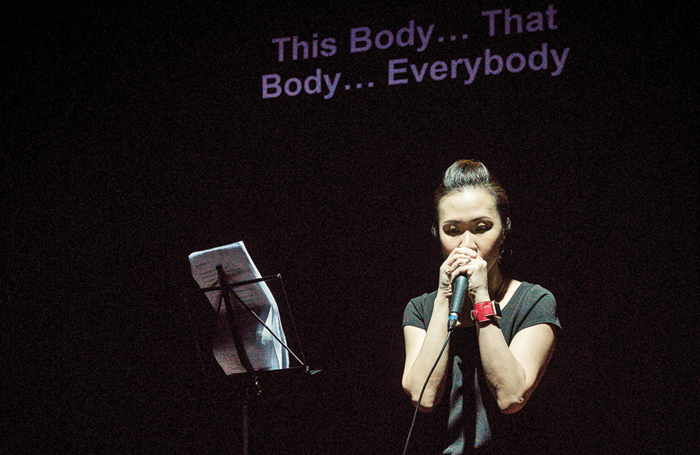 And Suddenly I Disappear… The Singapore ‘d’ Monologues is the first Unlimited International R&D commission in theatre. Unlimited (administered by Shape and Artsadmin) is the UK’s largest commissioner of work by disabled artists. Unlimited hopes to commission further international collaborations. 2. Crossing the Line is a collaborative skills exchange and professional development initiative between three of Europe’s leading learning-disabled theatre companies: Mind the Gap (UK), Moomsteatern (Sweden) and Compagnie de l’Oiseau-Mouche (France). The initial explorations culminated in a festival in Roubaix, France, this year. The consortium will be expanding to include learning-disabled companies from a further four countries. 3. International Network for Contemporary Performing Arts (IETM) ) is a network of independent producers and artists working across Europe. For its latest plenary meeting in Brussels this month it is working with the British Council to bring disabled practitioners from the UK to join in the debate and diversify its membership. 4. A new production In Touch premiered at the UK’s National Theatre last month. In Touch is part of a long-term project with Inclusion Theatre and Theatre of Nations, using the arts to connect deafblind, sighted and hearing people in different spaces. The original production, Touch-Ables, based on the real stories of the actors and their interactions with the world, had its premiere in Russia in 2015. This production is an international version performed by actors from Russia and the UK. It was made in collaboration with Russia’s Inclusion Theatre, the UK’s Graeae Theatre Company and the National Theatre. 5. Hijinx’s Unity Festival is an annual festival held in Wales. It showcases some of the best inclusive and disability-led theatre from around the world. Next summer it will be celebrating its 10th anniversary. O’Reilly reconnected with Sau in 2015 when he came to UK to do an MA. “We started to hatch the idea of what I would call an international dialogue of difference, diversity and disability and deaf experience from opposite sides of the world,” she says. The piece received an Unlimited International R&D in March 2017 and has been in proper development since. “Although we hadn’t worked together before, I thought I had to have Ramesh on board as well. I explained to him that he would be the bridge. He knows Singaporean sign language and he understands both Singapore and the UK. Also if we’re going to do this work – and I’ve always done this – I want it to be disability-led and deaf-led. So Ramesh is leading the deaf cultural parts of the project.” Everyone else involved in the project also identifies as disabled or deaf, both culturally and politically. 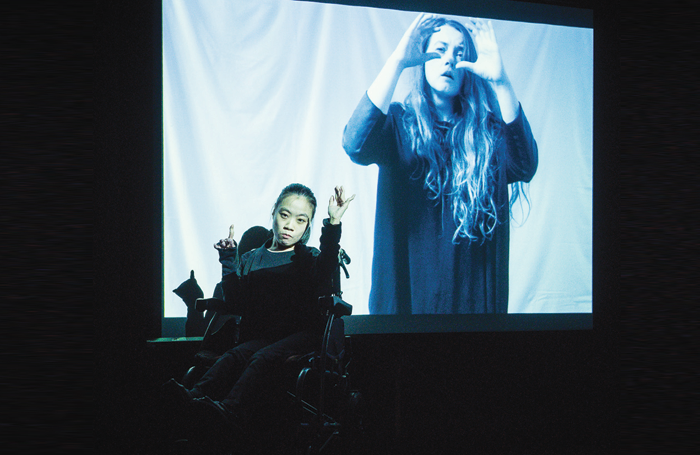 Sau and his team have been collecting testimonies of disabled and deaf people in Singapore, with O’Reilly doing the same in the UK, which have inspired the latter to produce a series of fictionalised monologues – some abstract, some character-driven. The monologues are delivered across multiple languages – English, Mandarin, Welsh, British Sign Language and Singapore Sign Language. O’Reilly is keen to stress it’s not verbatim. But some of the testimonies coming out of Singapore have been deeply concerning to O’Reilly, a lifelong disability rights advocate, whose activism includes lying down in front of buses on Direct Action Network demos. As well as putting disability perspectives on the agenda in Singapore, the project is also making some very practical changes. “I’m even having to have the basic level of conversation about what an accessible building is. People are telling us stuff is accessible. And then if I ask if there are any stairs, they’re like ‘yes, but there’s only three steps, it’s okay’. Well, that’s not accessible! Centre 42, who hosted the first sharings in September and October, put in ramps in for the rehearsal space. So we’re already having an impact, just by asking these questions and having this conversation. People have been so supportive and willing and excited about this. We’re not being met with resistance. It’s open arms. Let’s explore. 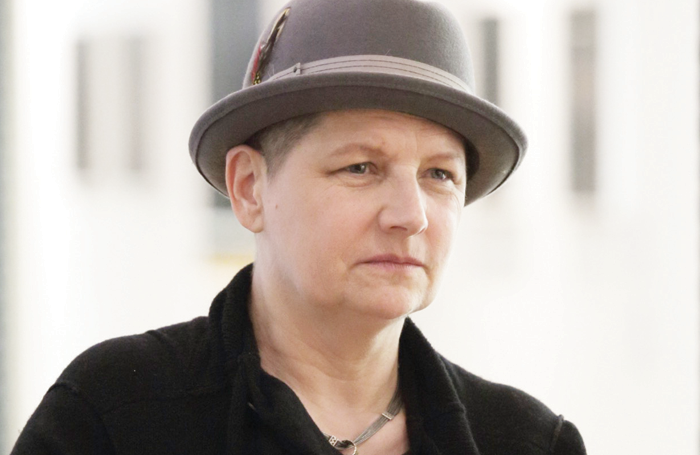 O’Reilly almost had to refuse to go ahead with the sharing when she came to realise the performance space would be inaccessible to wheelchair users. Centre 42 is a protected heritage building, meaning fully adapting it for access wasn’t feasible. As a compromise, Centre 42 put on an extra performance in the rehearsal space, which was accessible. They had seven wheelchair users in the audience, which was previously unheard of. What’s more, Sau has been voluntarily training a group of emerging disabled actors, four of whom went on to perform in the first sharings. Those actors have had the chance to work alongside experienced heads such as director Phillip Zarrilli. When I speak to O’Reilly she is in Singapore teaching dramaturgy and mentoring for Sau’s Project Tandem initiative which seeks to professionalise disability and deaf arts in Singapore. The outlook is bright, and major venues in the UK and Singapore are eager to programme the show.